Mrs. Knight’s Smartest Artists are truly showing their genius! Our textured rubbing plates were featured in a multi-step process to make these stunning cityscape projects! Learn more at the link! These projects were inspired by James Gulliver Hancock’s goal in New York to illustrate all the buildings in the city. Taking his sketches, the students chose their favorites and illustrated them in sketchbooks. These drawings were later transferred onto foam stamp designs. 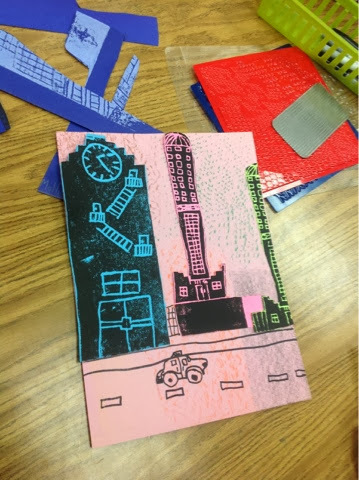 Mrs. Knight posted her students’ projects on January 10, 2014, entitled: “Cityscape Printmaking, 4th Grade.” Click on the title to visit the page. 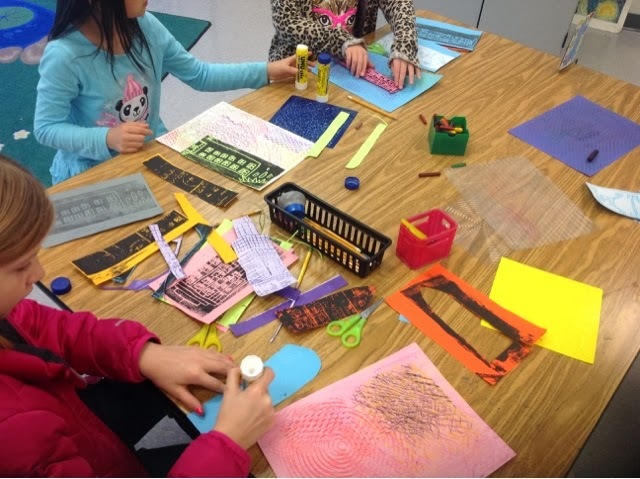 After creating the prints, the students designed their backgrounds using construction paper, our rubbing plates and crayons. The backgrounds were then placed behind the skyscraper prints. How inspiring! Visit their page to see more of the process. This entry was posted in Crafts by Bloggers and tagged architecture, art, art teacher, cityscape, design, education, pattern, printmaking, process art, rubbing plates, stamping by roylcoblog. Bookmark the permalink. Cool! Love the contrasting black of the buildings with the white of the background paper.